Built by Palmers Shipbuilding & Iron Co. Ltd. 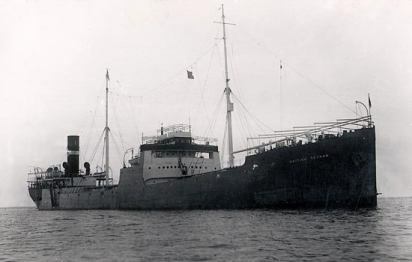 The British Yeoman (master Edward Attewill) sailed unescorted from Curaçao bound for Gibraltar with a cargo of 9,700 tons of fuel oil. On July 1, 1942, she had reached a position Southwest of the Canary Islands when she was sighted and torpedoed by U-201 who was en route to join the Wolf Pack. The position was reported as grid reference DG 9975 (26.42N, 24.20W). The tanker caught fire and was later sunk by gunfire. The master, 35 crew members and seven gunners were lost. Ten crew members were picked up by the Spanish tanker Castillo Almenara and landed at St.Vincent, Cape Verde Islands.